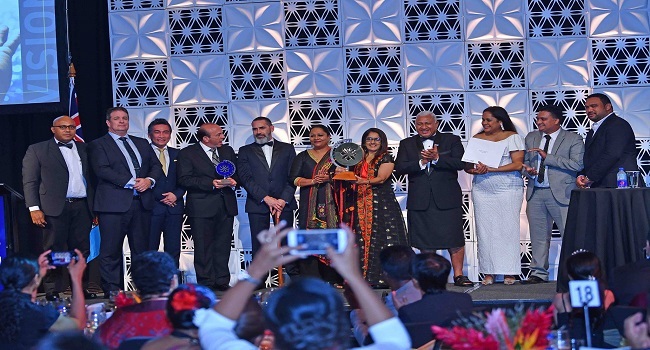 The 2018 Prime Minister’s International Business Awards has been a success for the Fiji Airways, after securing two accolades last night. Of the twelve awards that were up for grabs, the national airline won the prestigious Prime Minister’s Award known as Supreme Award and the e-Commerce business of the year. Executive General Manager, Shaenaz Voss says the win was possible due to the dedication of their team. Voss says the industry partners, stakeholder and government have played a vital role in assisting the company to achieve such success. Ram Sami and Sons, Fiji Airports, Digicel Fiji and Rosie Travel Group were among other winners.